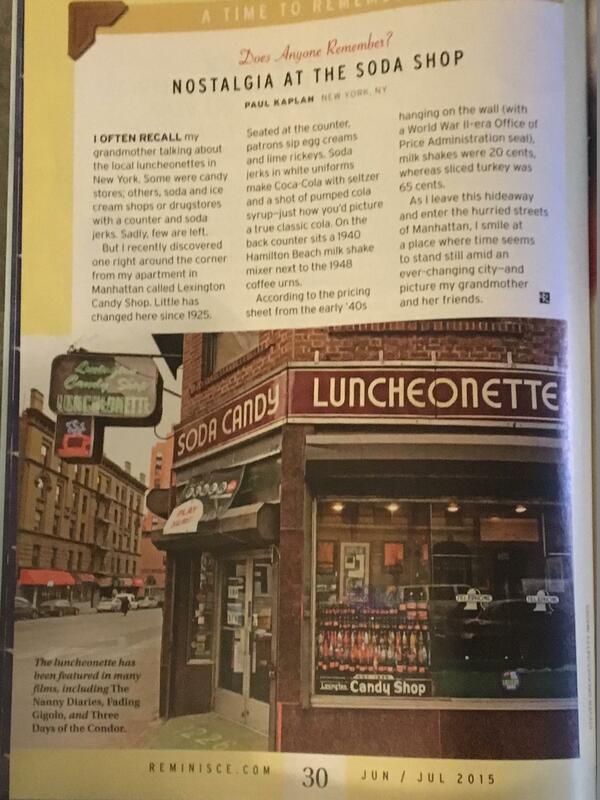 A n article in the Reader's Digest nostalgia magazine on a 1925 NYC soda shop that still serves customers. The article describes the relics on the wall from World War II price controls to 1970s films shot at the shop. The article also describes the art of making an authentic coke and lemonade, a lost art in the modern world of mechanization.